Often confused with Tina Fey and always as entertaining, Ann Handley is the chief content officer at MarketingProfs and the co-author of the book that started a content revolution: Content Rules. I bumped into Ann the night before this interview at the Rick Springfield concert last Wednesday night during Content Marketing World, and she was kind enough to chat with me about content marketing, how she spends her time socially, and Rick Springfield. Marketo: What is your number one tip for businesses who are struggling to find content ideas? Ann Handley: Make the customer the hero of your story. I think the default with lots of companies is that they start creating content and write what they know, usually themselves, which is alright except that what you really want to do is talk about your customers more. Talk about your products and services in terms of what they do for others. So it’s not what you do, it’s what you do for others. Finding those stories that show how your products and services live in the real world, how they shoulder your customers burdens, and how they ease their pain. That’s really at the heart of big content I think. Marketo: That rolls right into my next question. In your session you mentioned the three elements needed to create Epic content, can you touch on those briefly? Handley: Sure. Number one, find your voice and by that I don’t mean the way you sound as much as your perspective. What is it that makes your company unique, what are you all about, what’s your point of view. That also means what do you not and who do you not try to help. Thinking about who you aren’t is just as important as thinking who you are. Number two, take some risks with your content and have some fun with it. It’s really scary to put stuff out there and have people not like it, but at the same time it’s the only way that you’re going create some stuff that is really going to resonate with people, because again you’re not creating stuff for anybody, you’re creating stuff for the people you want to attract. Number three, give your content wings to help it soar and roots to keep it grounded in your brand and who you are. That applies socially as well and I think it that includes using new tools like Pinterest and Instagram. It’s kind of a social outpost so to speak, tell your story there but also look at some of the vendors who are here today (at Content Marketing World). Products such as marketing automation can help you to further reach customers and be be very intentional about how it is that you’re using your content to extend that relationship with your customers. Marketo: Can you tell me about a day in the life of Ann Handley in the social world? How do you spend your day in order to maximize the time and energy you put into social? Handley: Pretty much I spend my whole day googling Ann Handley and see who is creating content about me in real-time, you know it’s pretty much what I do. Handley: No, totally kidding, (laughing out loud) can you imagine? Marketo: You almost had me there. Marketo: How do you spend your time in order to maximize the time and energy you put into social? Handley: So I use social maybe differently than a lot of people. I spend a lot of time listening. The reason I do that is because it’s part of what we do at MarketingProfs, to find the best voices out there to contribute either as speakers, as writers, as bloggers, and as content creators. So I spend a lot of time listening to what other people say, which is one thing I think a lot of people don’t do on Twitter or Facebook. They spend a lot of time talking and not enough time listening. I call it practicing social prospecting because it’s really about finding people who have something to say and then pulling them towards MarketingProfs and getting them to create content for us or getting them to share their expertise with the audience. I think that’s really valuable. So that’s what I do there, it’s kind of part of my job, but then I also use it for research. What are people talking about, again still in listening mode, what topics are really taking off and which ones are not. Knowing what marketers care about these days is very much part of my job. So I really do use it for listening and for research and I also use it for sharing, to amplify what we’re doing, share what I’m doing, share what MarketingProfs is doing, to share what smart colleagues are doing, and to share what our speakers and writers are doing, so I use it in those three ways. And in terms of how I maximize that, you know how do I balance that with the rest of my job, I love social I mean I really think it’s amazing. I think it presents an amazing opportunity more than anything else so I don’t see it as kind of a box of Chex sort of always on in the back of my mind. I always have things that are open. I don’t segment, I don’t say I will spend an hour a day on Twitter, I know lot of people do and that works for them but for me it’s a much more seamless integration just into my daily life. Marketo: What’s your focus for rest of 2012 and into 2013 and what can we expect from MarketingProfs? Handley: So we’re doing a lot of training programs these days at MarketingProfs. Educating marketers who need to know about things like content marketing and more broadly about all kinds of marketing disciplines. It’s kind of a natural evolution for us as a publisher of how-to information to go into training programs so that’s really what we’re focusing on. We have an amazing event coming up in early October which is our B2B Forum, our flagship event. Last one that we had was during June in Boston. This is the event that you really want everybody to come home for, so this is our biggest event and it will be a lot of fun. It’s strictly B2B, its about using digital tools, particularly content and social and search to connect with prospects and get new customers. 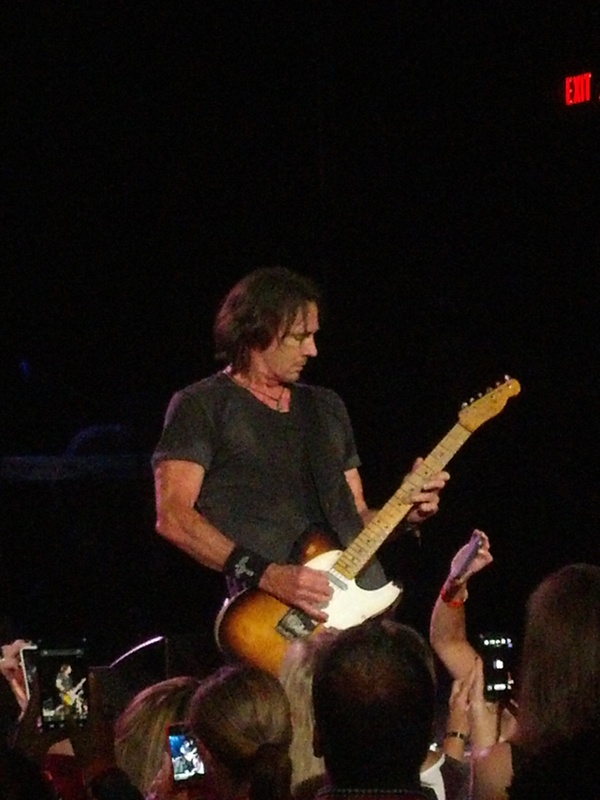 Marketo: My final question, if you were a writer for Rolling Stone and asked to give a quote about the Rick Springfield performance at Content Marketing World what would that be? Handley: What I loved about Rick Springfield was the element of surprise that he brought. This ties into what I was talking about in regards to creating Epic content. Rick’s Springfield’s content is epic because he had that element of surprise. Did you expect that he was going to be off the charts and hit it out of the park? I didn’t, you didn’t, I don’t think anybody in that room did. He was amazing and I think it was that element of surprise that really worked for him. So yes he is a competent performer, yes he is talented, but more than that he is a surprising performer and I mean that with the utmost respect. If you were unable to attend Content Marketing World, check out our post recapping the even with five key takeaways.